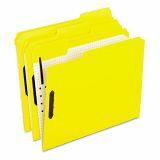 Pendaflex Colored Folders With Embossed Fasteners, 1/3 Cut, Letter, Yellow, 50/Box - File folders feature two built-in embossed fasteners, specially designed to take up less room in the file cabinet. Fasteners in positions No. 1 and 3 also securely hold papers in the folder. Double-reinforced tops offer extra durability. Interior grid offers a way for convenient note-taking. 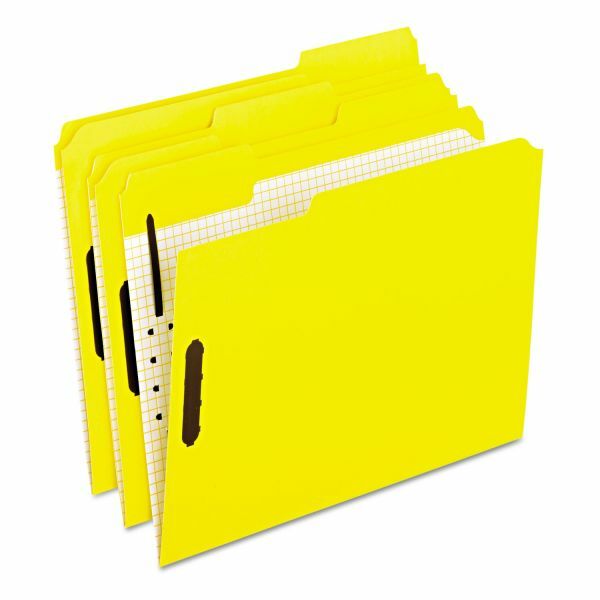 Each folder expands 2 to hold a thick stack of important documents. Use the bright colors for color-coding your files for quick referencing. Fastener folders are made of 11 point stock.